Encompassing 66 campuses over 127 square miles, Texas' Lewisville Independent School District (LISD) serves more than 51,000 students. Over the past 15 years, the district has seen rapid growth, though funding remains on the decline. This scenario creates pressure to keep costs as low as possible while retaining existing levels of efficiency and effectiveness. "Just because the funds don't come in like they use to doesn't mean our standards get to slip," says Dave Tillery, a Technology Specialist with the district. "We needed an identity-management solution that could help be more efficient, remove many of our manual account-management tasks and enhance security." Since much of the district's manual tasks took place at the beginning of each school year, its student information system needed to be up to date before school began. This situation created a hurried and complex script-import process. "By the time school started, our helpdesk was flooded with requests to match accounts to the current structure," says Tillery. "These modifications had to be done manually and made the first month of school very trying." 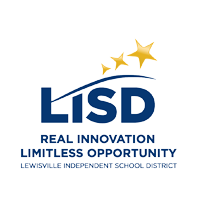 After realizing the need for improved efficiency and security, LISD moved quickly to implement an automated solution. The district spent two months evaluating available solutions before choosing UMRA. For Tillery and the rest of the district, UMRA offered the most customization matched with the lowest total investment. In short, UMRA offered the district a variety of ways to achieve its goals and solve its problems. "For example," says Tillery, "we used the mass import module to create all the initial student accounts. Thanks to UMRA, the time it took to create these accounts dropped from 24 hours to three. And to update the user accounts – for both students and staff – we used UMRA Automation to synchronize data in SIS to Active Directory and to our HR system accordingly." For Tillery, an added benefit of UMRA is its excellent documentation and ease of use. "With a little bit of programming knowledge and logic, I was easily able to write up the script that created all of our student accounts," Tillery explains. "Trial and error was minimal." The district now deploys UMRA for two main tasks: student automation and staff automation. For students, UMRA begins by looking into the student information system (Skyward) to determine where in the Active Directory accounts need to be created. This ensures that all students have the proper permissions and access to the correct applications. Staff accounts are maintained via a UMRA connector with the district's HR/financial system (IFAS). "I've been in the IT industry for more than 15 years and this is the first time I've run across a vendor tool that did everything it said it would. UMRA is a champ!" Prior to UMRA implementation, disabling accounts was time-consuming and at risk for potential security breaches. "Once a week, a helpdesk employee manually disabled the accounts for students and staff that had left the district," Tillery explains. "Besides the time delay, this created a serious security issue. With UMRA, account access is cut off in a timely manner – every 30 minutes – and prior users no longer have access to the things they shouldn't. In an emergency situation, we're also able to immediately disable all access with a single person." Overall, Tillery says the district feels much better about the security of its network and all network authorization is now based on standard job codes. According to Tillery, the chief benefit of UMRA is in time gains around creating or changing user accounts and, in this area, the district's efficiency improvements have been "exponential." Prior to UMRA, significant time delays and difficulties logging in meant students had less time to complete their work. For staff, these issues meant less productivity and less time spent doing their jobs. Now, changes to user accounts can be accomplished without laborious and time-consuming manual input. "We're making changes once in our authority system and that change carries through throughout all the other systems," Tillery says. "This is a really big efficiency improvement, especially with the amount of exceptions we have." It is estimated that "we are saving at least 2 FTE employees with UMRA."